Lightsey Cycles is a full service bike shop offering all the amenities that the beginner or seasoned rider is looking for. 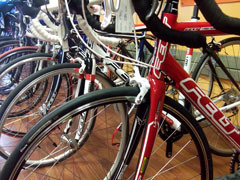 The seasonal recreational rider as well as the commuter is looking for the bike that will meet their needs. There is the desire to get your exercise or get you where you need to go on a comfortable, full- seat, high handle bar, sitting upright position, bicycle with the ability to put your foot on the ground and still have a smile on your face! WE have what you have been DREAMING of! 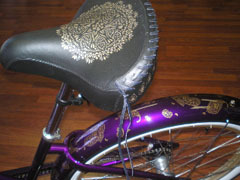 The hottest trend in bicycling is the Comfort or Cruiser bike. Lightsey Cycles is featuring Electra Bicycles, out of California, they are known for their relaxed Cruiser bikes. Here in the Northeast , we need a little more tread, so we would like to introduce you to the Electra line of Comfort bikes in 3 speed,7 speed, 21 speed and 24 speed. Plenty of tire and gears to get you cruising on the rail trails and carriage roads of the country, the cobblestones of the beach towns and the asphalt of a city without the aggressive position of a mountain or road bike. At Lightsey Cycles we also cater to the road bike enthusiast. 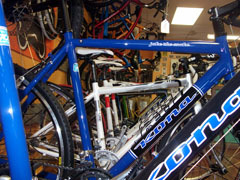 We carry the complete line of Felt and Kona road and cyclocross bikes. For the serious mountain biker we are proud to feature KONA with its respectable reputation for its ability to handle any kind of rough terrain. 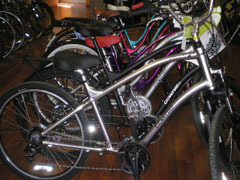 For the kids we carry the 20'' and the 24" tire size and for the adults we carry size 14"- 22" frames. If you want beefy, we got it! 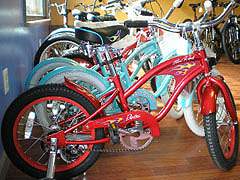 Come in and see our selection of 2 wheelers for your kids who are just starting off, on their way, and off and cruising. 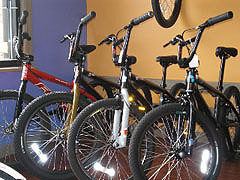 We also have a great line of BMX and trick bikes from Felt for the big and little kid, one size fits all.